How Successful Were Our 2017 TBRs? This year more than any other, Bee and I have been making TBRs for ourselves and trying our best to stick them them. For some, we gave ourselves the whole year and others, we had a month. First of all, there were the 5 books we wanted to read in 2017. I wonder if we’ll use the last couple of weeks of the year to strike these two of our lists, but TUE wasn’t Bee’s favourite Morgan Matson book, so I’m not inspired to pick it up and TBS has completely slipped off our radar since January. Then, our Easter TBR for Tome Topple. M & B read: 4/5 | DNF’d: Court of Mist and Fury by Sarah J Maas. This totally counts as completed, and means we’ve met one of our resolutions to not finish books we don’t like! Double points! Next, there was our Summer TBR: Rainbow Edition. During the summer, we were also prepping for YALC, so of course we made a TBR! Bee really set the bar high for this one and managed to read loads, whereas I gave myself two books that were over 500 pages, so definitely slowed my pace. Our last official TBR of the year was our Autumn TBR, with 5 books we wanted to read before the end of the year. 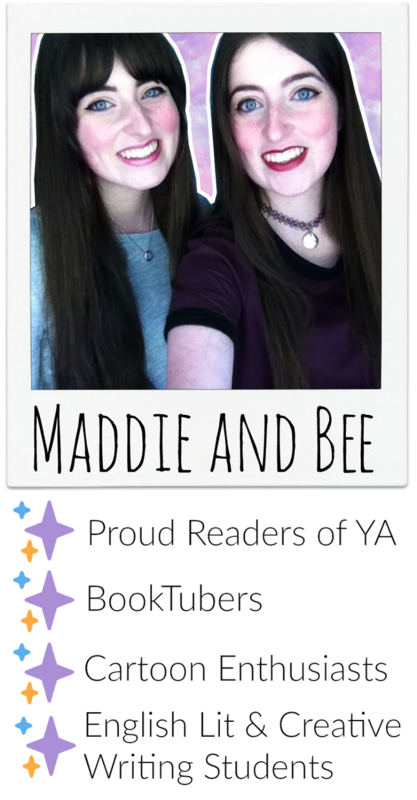 Maddie: 3/5 | Leftover: The Hate U Give by Angie Thomas and Kingdom of Sleep by E. K Johnson. Bee: 5/5! Okay, so it’s obvious who’s better at sticking to TBRs our of the pair of us! Overall, TBRs have worked out pretty well for us this year. They’re something that we swore off when we first started our BookTube channel, not wanting the added pressure of reading a certain thing, but they’ve helped us prioritise what’s most important and shifted our focus from recently hauled books to ones that have been on our shelves the longest. Are they going to be something we continue to do in 2018? Of course! But, I think we’ll stick to TBRs with long deadlines, so the pressure is there but not suffocating. It’s disappointing not to finish a TBR, especially at the end of a year because it just means those books will carry with us into 2018, but this post acts as a record, so hopefully in December next year I can look back and see that I’ve read everything I wanted…12 months late. As for the last chance TBR we set at the beginning of Blogmas, as of the 19th, I’ve read both Ash by Malinda Lo and Love and Gelato by Jenna Evans Welch. Bee’s only read Truth or Dare by Non Pratt, but she’s still got time to read her final book, so fingers crossed! Were your TBRs successful this year? Have you got many books left over? Do you like TBRs or loathe them? Let us know in the comments!